For the second chapter of the ongoing RGB (Red, Green, Blue) Project we initially set out to focus purely on the immense beauty and grandeur of the largest living structure on Earth and one of the great natural wonders of the world, the Great Barrier Reef. A global icon of the purest blue. 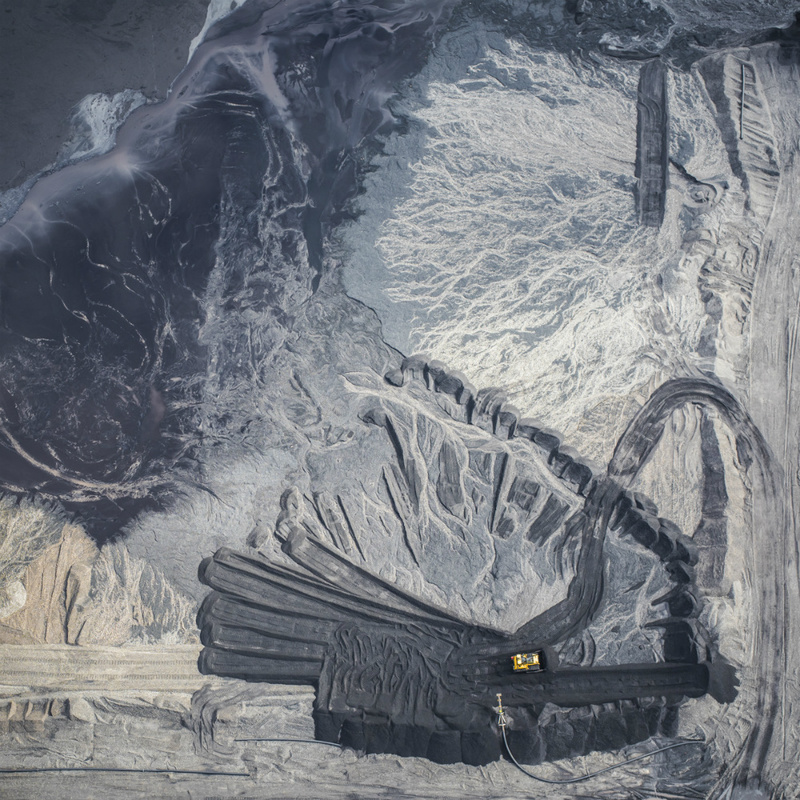 And consequently, we have chosen to juxtapose the adjacent coal mining industry with the Great Barrier Reef as symbols for a larger global conversation in order to ask an important question; can we find a sustainable balance between the continued extraction and consumption of fossil fuels and the well-being of our great natural ecosystems? Can they co-exist? By placing these two opposing natural resources with a common link together, we are being asked and challenged to acknowledge the relationship between one of the potential causes and effects of climate change. Our intention is to create meaningful conversation, bring deeper awareness and motivate responsible action and accountability in an important time in our Earth's natural history. We are on the knife's edge as a civilisation of maintaining a sustainable relationship with the Earth's natural ecosystems. And their destruction or conservation is being determined by our actions in this moment, not years down the track. We hold the fate of this planet’s well-being squarely in our hands. We are its custodians and the impending death of over half of the Great Barrier Reef is a genuine call to action. Will we choose the path of hope and empowered, informed decision-making and responsible action, or one of complacency and potentially ultimate despair? Our actions or in-actions, both collectively and individually will shape our future and create the legacy we leave behind for the generations to come. Read what this project means to each artist below. Long as I recall I have had a deep appreciation for, and a willingness to help protect, our remaining wilderness areas and the fragile life that they support. It's this desire that fuels the choices that I make in my life and it's the one of the key reasons that I joined The Light Collective, where as a collaborative, we stand to speak a louder voice for our ailing environment by combining our artistic capabilities. The Great Barrier Reef was the first natural wonder that I saw when I came to Australia for the first time back in 2007. I was absolutely amazed by its remarkable beauty.. I've been lucky enough to photograph it from a helicopter and also from its pristine waters. The reef and marine life was nothing short of incredible. It was one of the most amazing natural wonders I have ever had the pleasure of experiencing. I am sorry that the struggles you have to deal with today are due to the previous generations misuse of the environment. I'm am sorry I didn’t do more to help turn the denigration around. I was just so busy trying to survive, stressed just trying to provide for us, trying to put a roof over our heads, trying to lay a financial foundation to make your life a little easier. The scope of this new project will see the publication of a new limited edition book and an exhibition to launch it whilst showcasing fine art and conceptual imagery that together aim to help generate greater conversation and action in the coal vs coral debate. By just placing the book on your coffee table or on your office desk, will start conversations and create a higher level of environmental awareness! 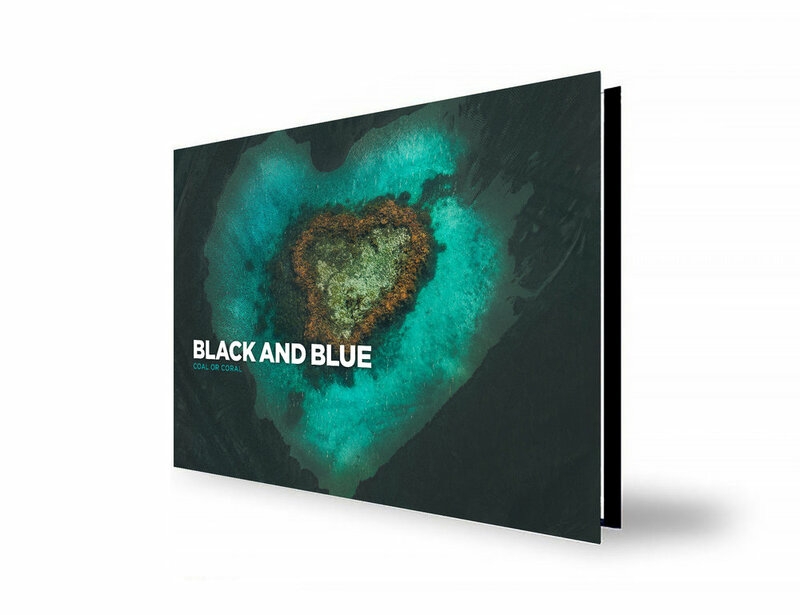 BLACK & BLUE is the second in a series of publications by The Light Collective showcasing fine art and conceptual imagery in this high quality limited run book illustrating the modern relationship between Coal and Coral. Unite in this cause to help save the reef! 10% of the total Crowdfunding Campaign Sales will be donated directly to the Australian Marine Conservation Society for the conservation and protection of The Great Barrier Reef. By donating 10% of sales we can guarantee this money goes directly to the cause. Immediately helping to conserve the Great Barrier Reef. 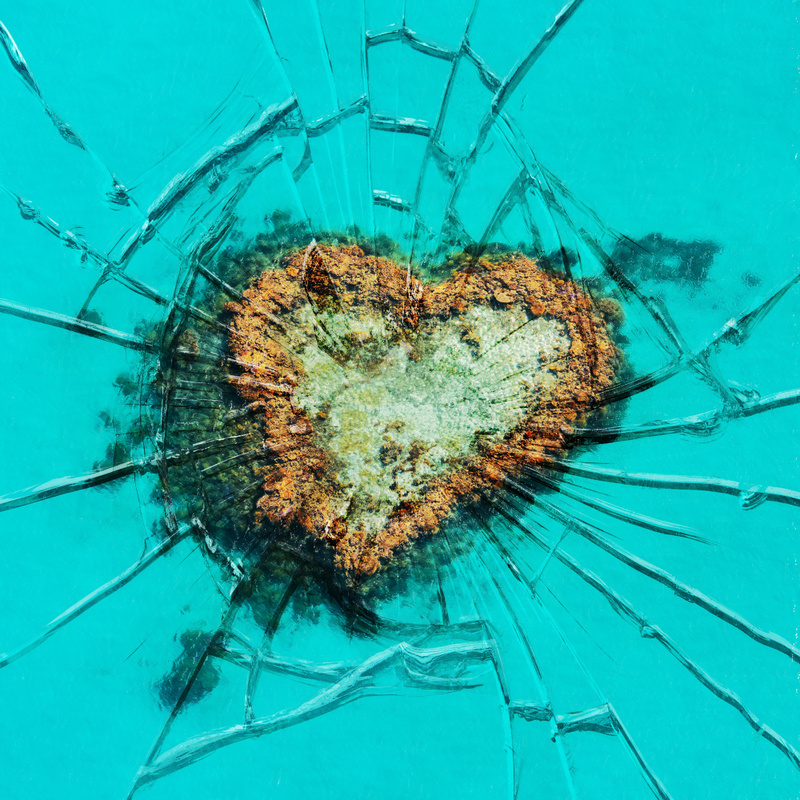 To officially launch the new book, an exhibition will be held and feature large scale striking illustrative aerial imagery of The Great Barrier Reef and from the surrounding coal mining regions. Exhibited together in a stark contrasting display that provides the viewer with food for thought. Thank you! We look forward to seeing you at the opening night!